One of the biggest problems with conventional tank water heaters is leakage. 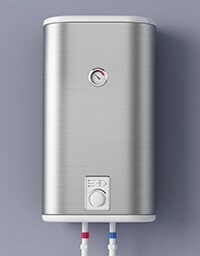 No matter how fancy of an electric water heater you buy, the unit will start leaking as time takes its toll. After all, these are constantly filled with water day in and day out for a period of years. A tankless water heater, on the other hand, doesn’t store water, and, therefore, will never leave you a big mess to clean up—because there’s nothing to leak!